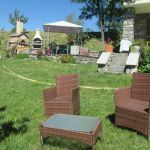 At 1500 m from the heart of the resort of Chantemerle and 4 km from Briançon, gite in ground floor of a chalet owner South facing with lovely views over the mountains. Entry by terrace, grand Pré at disposal. Mountain style furnishings carved with a knife. Living room with convertible, TV, kitchen (dishwasher, microwave). Wi - Fi. 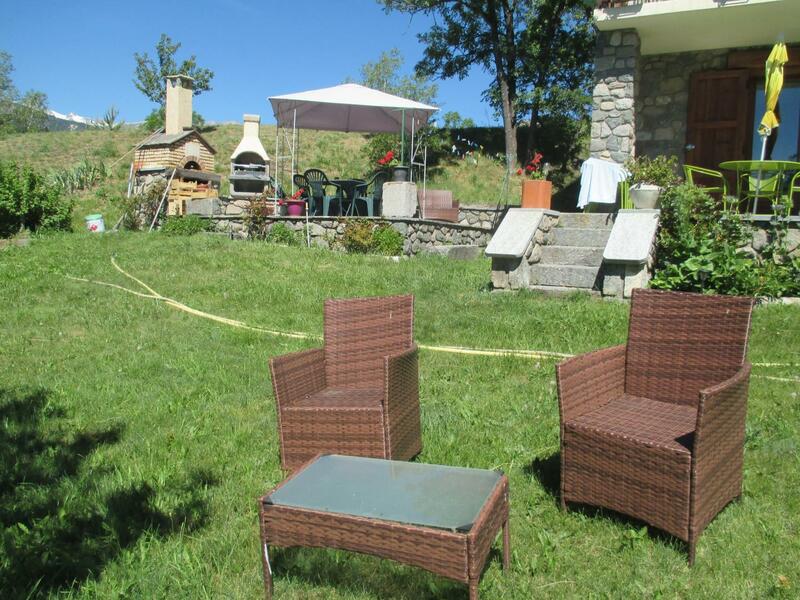 2 bedrooms (1 bed 2 pers, 3 beds 1 pers. including 2 overlay.). Bathroom, washing machine, wc. Electric heating. 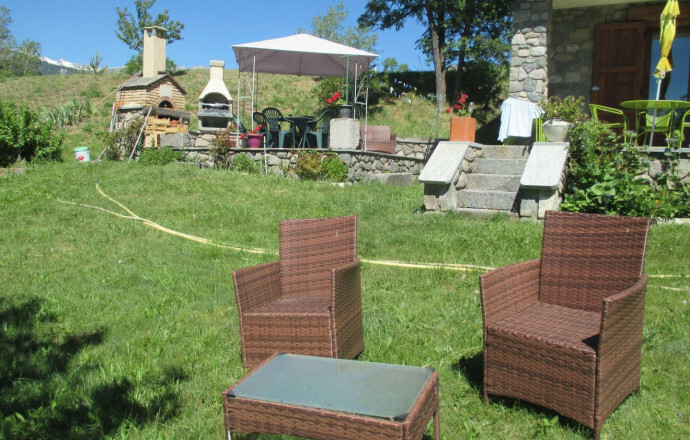 Garden furniture, barbecue. Parking. Possibility of renting sheets (30) and possibility of option household.